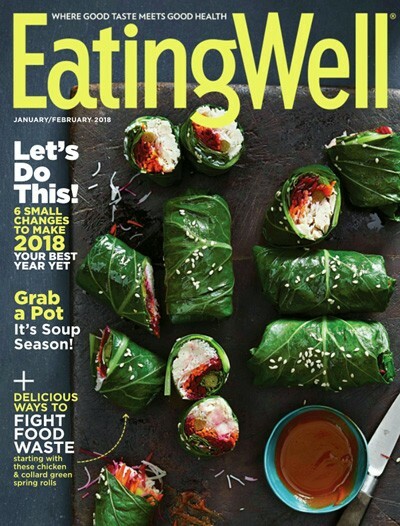 EatingWell Magazine, the Magazine of Food & Health, delivers dozens of tempting, creative, easy-to-follow recipes that reflect the latest and best nutrition information available. 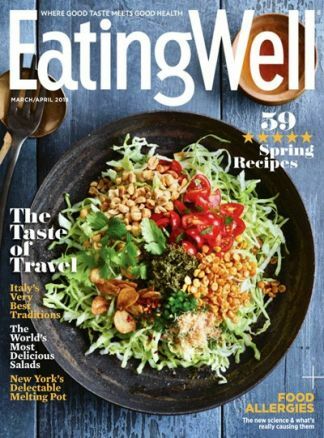 Eating Well is a food magazine with high-quality journalism, impeccable nutrition credentials and boasts one of the most respected recipe-development teams ever assembled. 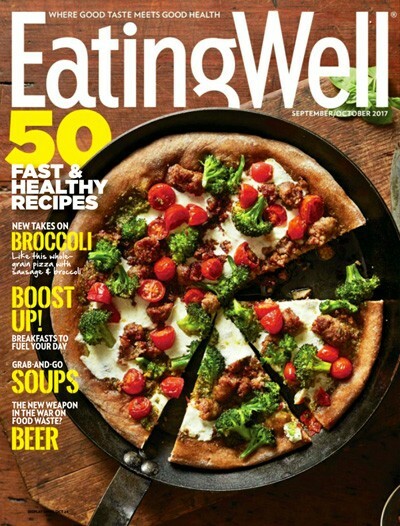 Every recipe found in EatingWell includes preparation time, ease of preparation, and complete nutritional information. 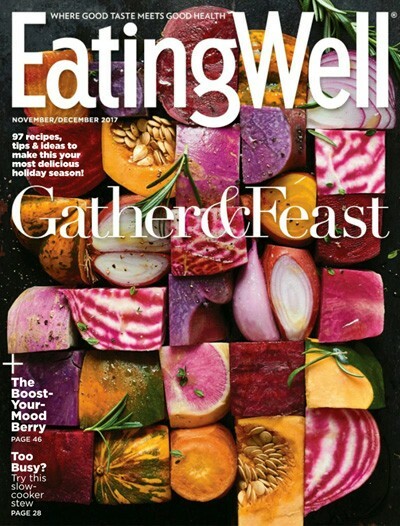 Each issue of EatingWell Magazine features brilliant photography, dozens of recipes and clear, candid nutrition advice for a lifetime of food enjoyment.